I don’t know about you, but when I make a stuffed animal or baby doll, I like the final product to look as if it wants to steal my soul. There’s no better present for your kid to open on Christmas Morning than a doll that a possibly (definitely) possessed newborn-sized, anatomically accurate baby doll. 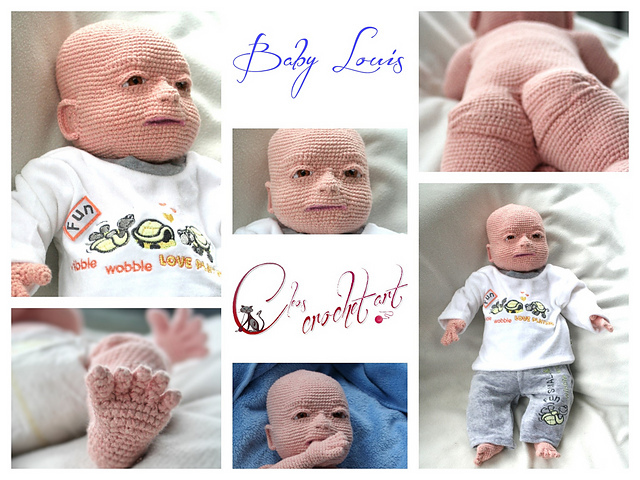 Anyway, meet Louis, the crocheted baby doll that was weirdly popular on Ravelry this week. Sure, this doll is firmly in the Uncanny Valley, and is definitely going to tell your kid to murder you in your sleep, but I have to hand it to the lady (or gent) who designed him. From a technical engineering standpoint, he’s pretty impressive. To crochet a doll that human-like is pretty crazy. So, hats off to them. But, while the designer was asking if they could design a nearly-human baby doll, perhaps they should have asked if they should. This entry was posted in Pattern Spotlight and tagged accurate, baby, baby doll, baby louis, creepy, crochet, doll, louis, weird on December 8, 2014 by onemilljellybeans. I saw him the other day. Amazing design, but you are right, a little odd. 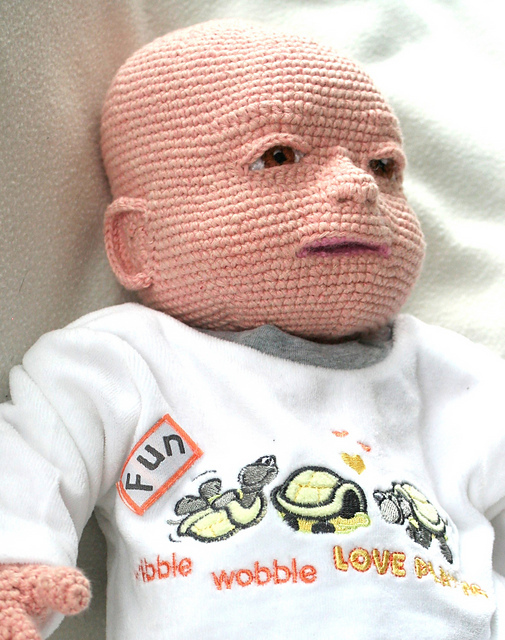 Well done to the designer who made him though, I’ve never seen a more perfect crocheted baby. I know, right? I can’t even imagine how you’d go about coming up with a pattern like this. A weird little part of me wants to buy the pattern, just to see how it is written out. To whoever came up with this, I wish them closure and peace.